gw mau jualan nih software2 3D yang keren2. semua software dah ditest dan berjalan dengan oke. The Autodesk® Face Robot® technology and service enables artists to create high volumes of realistic human facial animation quickly, for use with any 3D software workflow (Autodesk® Softimage®, Autodesk® Maya®, Autodesk® 3ds Max®, etc). Face Robot yields extremely good results for rendered and real-time applications. Vue 7 xStream operates as a fully integrated plug-in for 3ds Max, Maya, LightWave, Cinema4D and XSI. It adds all of Vue's dedicated environment creation tools to your application's interface. 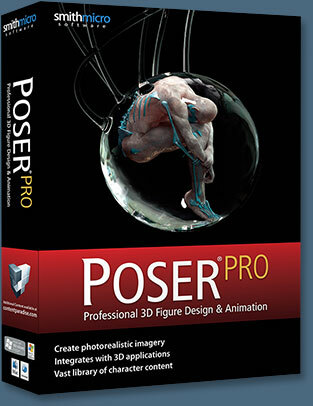 Using these tools, you can create complete, hyper-realistic 3D environments without leaving your favorite application. This includes (among others) the ability to create atmospheric effects, build procedural terrains, grow SolidGrowth trees or even populate entire forests . Proxy geometry is dynamically created by Vue 7 xStream inside the host application so that you can use your application's standard manipulators to move, rotate or resize each element of the Vue environment individually. You can use all standard tools of your application (such as alignment, scripting or even add fur to Vue elements), and you can make Vue elements interract dynamically with native objects (e.g. collision detection, etc). Animation of Vue items can be done either through Vue (e.g. for wind effects), or using the host application's animation tools. Both types of animation are naturally combined seamlessly. Vue 7 xStream for 3ds Max and Cinema4D will even let you paint EcoSystems interactively (on Vue objects or on native objects), directly through the host application's viewports*. You can create Vue environments directly in the host application, or you can load ready-made environments that were designed on a stand-alone version of Vue (Vue 7 Infinite, or Vue 7 xStream running in stand-alone mode - xStream can run either as a plug-in or as a stand-alone application). All components of the Vue environments are supported by Vue 7 xStream, including complete EcoSystems, all types of atmospheres, cameras, lighting, all plants, all terrain types and all procedural materials. Animated scenes are also supported, including wind animations for plants and EcoSystems, atmosphere and cloud animations, and all animated materials. All imported meshes included in the Vue scene will be loaded as well. Lights are automatically converted into their Maya/Max/LightWave/Cinema/XSI counterparts, and the atmosphere is converted into a special environment shader. A single license of Vue 7 xStream can now be used with all compatible applications and renderers installed on your system, without requiring the purchase of any Extra Renderer licenses (unlike what as was the case with Vue 6 xStream). * Vue 7 xStream for Maya works with both MentalRay and Maya software renderer. 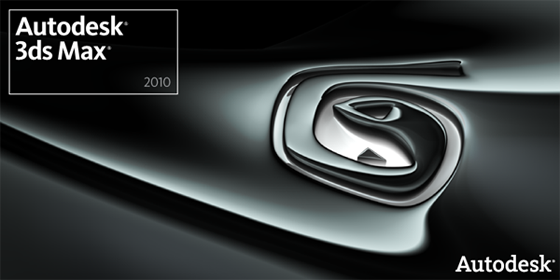 * Vue 7 xStream for Max and XSI works with MentalRay. 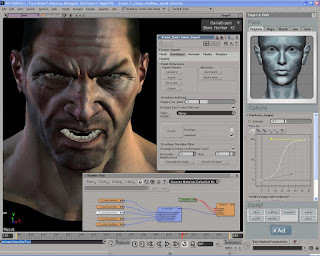 * Vue 7 xStream for LightWave and Cinema4D works with the native renderer. Upon rendering, xStream kicks-in its own render engine, which works in parallel to the native renderer. This assures that the Vue elements will look exactly as if they were rendered inside Vue, and also helps speeding up the rendering of polygon-heavy elements such as terrains and EcoSystems. However, this is a completely transparent process. There is no need to deal with the xStream renderer. Parameters such as render resolution and anti-aliasing quality need only to be set for the native renderer. If necessary, you can override these settings easily. Vue 7 xStream automatically matches it's unit system so that the sizing of Vue elements matches that of the host application. This ensures that a one foot-large cube in Vue also measures exactly one foot in the host application. It is also possible to customize the scaling ratio between Vue and the host application. For each element in the environment, Vue generates a 3D proxy in the host application. These proxies are displayed, like any other native object, using the application's OpenGL or Direct3D engine. You can change the level of detail of proxies to speed up the refresh rate of very large Vue scenes. [LEFT][LEFT]Carrara 7 Pro augments already impressive animation, landscape, modeling, and rendering capabilities with a strong set of new features. The significant enhancements to Carrara 7 help deliver a professional 3D solution at a price that fits into almost any budget. Carrara 7 will stimulate professional users toward greater creativity and help them to stay competitive, while providing incredible ease-of-use and unbelievable results. Carrara 7 also includes support for Content Figures that have multiple Levels of Detail (LOD). You can use lower LOD figures in your viewport to enhance performance and then render with a higher LOD figure for the best quality. If you have multiple figures in the scene you can enhance performance by reducing the mesh resolution on those figures that are further away from the camera and don’t require as much detail. Carrara 7 provides advanced auto-switching capabilities that will automatically switch between higher and lower LOD figures based on distance from the camera. As the figure or the camera is moved within the scene, the system determines which figure to use based on user determined preference settings. Carrara 7 includes a new 3D Paint Tool that enables textures to be selected, edited and "painted" directly onto an object. The 3D paint tool provides a variety of painting modes including brushing with a variety of brushes, airbrushing, stamping, and support for lines, an eyedropper, and an eraser. Custom brush settings can be saved and later reused. 3D Paint also supports layers, image stamping, and tablet support. We've also added Real-time display of bump maps and specularity. Carrara 7 includes a new UV Editor that shows a 3D view of the polygon mesh, a 2D display of the UV values on the polygon mesh vertices, and a set of tools to manipulate them. You can choose from four different projection methods to use for custom mapping. The UV editor "Unfold" function allows you to define seams and pinpoints where the UV template will be unfolded and later stitched. The relax seam tool helps you selectively reduce the dense areas of the UV for a more uniform map and gives you a much more accurate display of textures. The Vertex Modeling capabilities that were previously only available in the "Modeling" room are now available in the "Assembly" room. This enhancement saves time by allowing you to perform modeling functions in the assembly room where other objects can also be seen. The Multi-pass Rendering tool new in Carrara 7 enables you to render multiple passes and save these off to separate image files. These render passes or layers (multi-pass render layers) can be edited in another application such as Photoshop to increase contrast in the rendered image, change a reflection color, make an edit to a shadow map, or even swap out a background color. This tool will make it faster to make changes to a rendering, instead of re-rendering for hours and hours. The edits to layers can be changed in minutes. bos photoshop 4 nya bisa di instal langsung apa harus upgrade nih soalnya ada kata2 extended nya nggak ngerti maskudnya neh. Original Posted By dizt► bos photoshop 4 nya bisa di instal langsung apa harus upgrade nih soalnya ada kata2 extended nya nggak ngerti maskudnya neh. nggk, setau gw versi extended lebih cepat dari ver biasa. nggk ada upgrade kok install langsung. cuma ditest di 32 bit bro. bro 40rb sampe palembang bungkus langsung.. Original Posted By judgementARCHER► bro 40rb sampe palembang bungkus langsung..
d vista bs jalan ga?